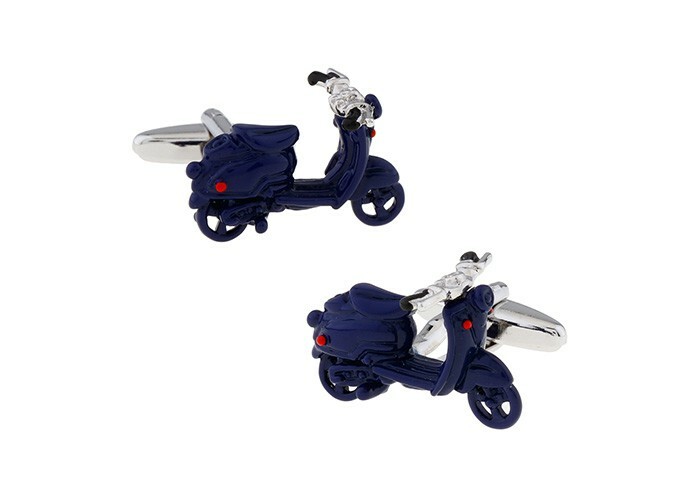 Our scooter replica cufflink set is one of our most popular novelty selection, and for good reason. It's intricate detail and craftsmanship are unparalleled, and makes for a wonderful and unique gift for anyone who owns a scooter or wishes they did! Blue Scooter Cufflinks by The Tie Hub. Weight : Apx. 10 Grms/Pair.